Occupation In 1891 John Thurley was a Railway Signalman in Irthlingborough, Norhamtonshire, EnglandBG. English Census 1901 He appeared as the Head of the Household in the 1901 English Census in Wellingborough, Northamptonshire, EnglandBG. Chr She was christened on 14 January 1866 in St John, Bedford, Bedfordshire, EnglandBG. Wife She appeared as the wife of Arthur Thurley in the 1891 Scottish Census in Dundee, St Andrew, ScotlandBG. Wife She appeared as the wife of Arthur Thurley in the 1901 Scottish Census in Monifieth, Angus, ScotlandBG. Chr Thomas Thurley was christened on 22 August 1852 in St John, Bedford, Bedfordshire, EnglandBG. Chr William Thurley was christened on 22 August 1852 in St John, Bedford, Bedfordshire, EnglandBG. Marriage William Thurley and Emma Wright were married in 1872 in Bedford, Bedfordshire, EnglandBG. 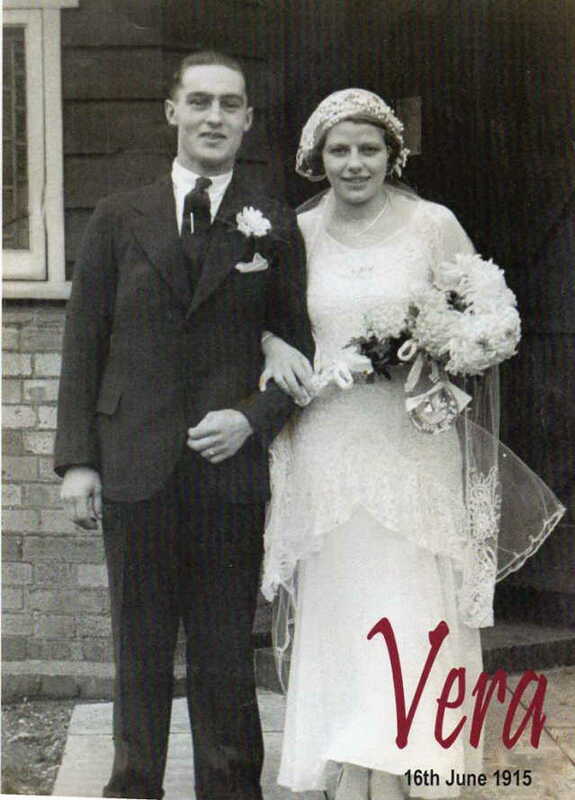 [PE] Gordon and Vera Thurley (nee Lancaster) on their wedding day. Emigration (fam) He and Vera Emily Lancaster emigrated from EnglandBG to Sydney Australia with their three children in 1952. Emigration (fam) Gordon Edward Thurley and she emigrated from EnglandBG to Sydney Australia with their three children in 1952. Birth Edward Thurley was born about 1871 in Luton, Bedfordshire, EnglandBG. Birth Harold Abraham Thurley was born in 1900 in Bedfordshire, EnglandBG. Marriage Cyril Francis Thurley and Martha M. were married. Milit-Svce He served in the BedfordshireTF as a Private ( 3311, 15-B-V) and on 10 August 1915 he served in the BalkansBG.